Sometimes a person who has a silent heart attack doesn’t know it for weeks or months, but it should be taken seriously and treated as soon as symptoms appear. 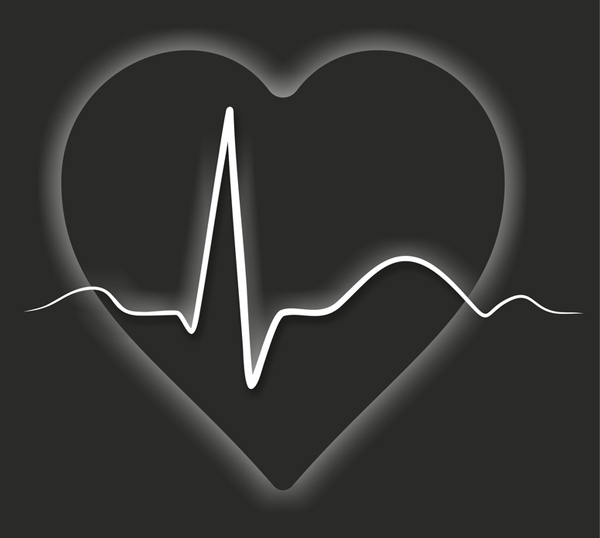 The phrase “silent heart attack” suggests an event that comes and goes without much fanfare. And while it’s true you can have an actual heart attack without realizing it at the time, the signs of a silent heart attack can include real damage to your heart muscle. “Just like the name implies, a silent heart attack is a heart attack that has either no symptoms or minimal symptoms or unrecognized symptoms,” says Deborah Ekery, MD, a clinical cardiologist at Heart Hospital of Austin and with Austin Heart in Austin, TX. A heart attack, whether you’re aware of it or not, is an event in which oxygenated blood flow to the heart muscle is dramatically reduced or blocked altogether. The heart can still keep pumping, but it’s doing so while muscle tissue is suffering or even dying. A heart attack is usually the result of blockage in one of the coronary arteries. Cholesterol plaque can build up in an arterial wall. When it bursts, a flood of cholesterol, fats, proteins, white blood cells, and other matter rush to the scene. The result can be a blood clot that halts the flow of blood almost immediately. A heart attack can also occur when plaque builds up so much that the artery narrows to the point where blood flow can no longer supply a portion of the heart. What happens with a silent heart attack is that blood flow stops because of blockage in a coronary artery. But the blockage may be quite temporary, causing only a minor disruption in circulation through the heart. 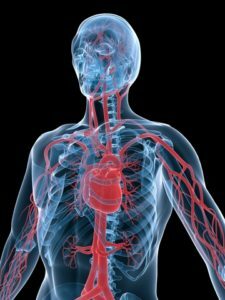 The blood clot may be small enough that it moves through your system harmlessly or simply breaks up and gets absorbed into your bloodstream. During a more traditional heart attack, the coronary artery remains blocked. The result can be chest pain that radiates out to the arms, back, neck, jaw, or shoulders. But there are many other heart attack symptoms that don’t involve chest pain. And that’s how a silent heart attack can go unnoticed or at least undiagnosed. In reality, some silent heart attacks aren’t actually that silent. You may be aware that something is wrong, but without sudden, awful chest pain, you may be quick to dismiss it as something else. For example, a silent heart attack and a traditional heart attack can leave you with an overall “yucky” feeling. You may feel sick to your stomach instead of having searing chest pain. You may feel short of breath and blame it on being out of shape. You could have pains elsewhere in your body and figure it’s a muscle strain or anything other than your heart. “People who have these so-called silent heart attacks are more likely to have non-specific and subtle symptoms, such as indigestion or a case of the flu, or they may think that they strained a muscle in their chest or their upper back,” Dr. Ekery says. “It also may not be discomfort in the chest; it may be in the jaw or the upper back or arms. In addition, Dr. Chambers notes that everyone has a slightly different tolerance for pain. Plus, individuals experience pain or discomfort differently. You might be keenly aware of changes in your body, such as a more rapid heart rate or an unusual pain in your arm, while someone else might not even be consciously aware of those same sensations. If you’re at risk for a heart attack of any kind, you should become one of those people who pays attention to signs of heart trouble. If you’re a woman, you should be especially mindful of non-traditional heart attack symptoms. If you experience any symptoms, even temporarily, see your doctor. “The importance of diagnosing a silent one is that once you have had one, it increases your risk of having another heart attack,” Dr. Chambers says. But, he adds, by having a silent heart attack diagnosed and learning more about heart attack prevention and a heart-healthy lifestyle, you may be heading off a major, unmistakable heart attack down the road. a heart attack, blood clot, blood pressure, chest pain, cholesterol, cholesterol high, cholesterol plaque, coronary, coronary arteries, diabetes, diabetics, excessive fatigue, flu, health, healthy lifestyle, heart attack, heart attack prevention, heart attack risk, heart attack risk factors, heart attack symptoms, heart attack symptoms in men, heart attack symptoms in women, heart attacks, heart disease, heart healthy, heart muscle, heart problems, heart trouble, high blood pressure, high ldl, high ldl cholesterol, increases your risk, indigestion, ldl, ldl cholesterol, muscle, obesity, pain, pains, sedentary lifestyle, signs of heart trouble, silent heart attack, smoking, tiredness, white blood cells.